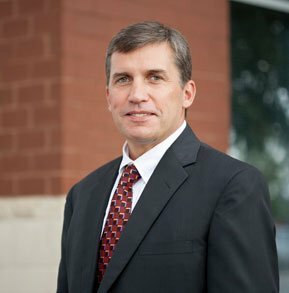 Brady graduated from UNC School of Law, is a partner in the firm and has practiced at Cranfill Sumner & Hartzog since 1991. Since 2000, Brady has practiced exclusively in the area of land condemnation, representing property owners whose land has been taken by a government entity. Brady is a member of the Litigation Section of the North Carolina Bar Association. Successfully defended residential property owner against Burke County for a sewer line and settled with the County for an amount that was seven times more than originally offered to property owner. When NCDOT took “common property” owned by a homeowners’ association in Wilmington but did not add the individual homeowners whose homes were damaged by the road widening project, Brady successfully brought inverse condemnation claims against NCDOT and recovered monetary damages for two homeowners.